Marianne Hirsch is William Peterfield Trent Professor of English and Comparative Literature at Columbia University and Professor in the Institute for Research on Women, Gender, and Sexuality. She is a member of the American Academy of Arts and Sciences and a former President of the Modern Language Association of America. She was born in Romania, and educated at Brown University where she received her BA/MA and Ph.D. degrees. Hirsch’s work combines feminist theory with memory studies, particularly the transmission of memories of violence across generations. 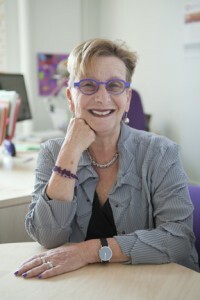 Her recent books include The Generation of Postmemory: Writing and Visual Culture After the Holocaust (Columbia University Press, 2012), Ghosts of Home: The Afterlife of Czernowitz in Jewish Memory, co-authored with Leo Spitzer (University of California Press, 2010), Rites of Return: Diaspora, Poetics and the Politics of Memory, co-edited with Nancy K. Miller (Columbia University Press, 2011). With Diana Taylor she co-edited the Summer 2012 issue of é-misferica on “The Subject of Archives.” Other publications include Family Frames: Photography, Narrative, and Postmemory (1997), The Familial Gaze (ed.1999), Time and the Literary (co-ed.2002), a special issue of Signs on “Gender and Cultural Memory” (co-ed. 2002), Teaching the Representation of the Holocaust (co-ed. 2004), and Grace Paley Writing the World (co-ed. 2009). She is currently at work on a co-authored book with Leo Spitzer, School Photos in Liquid Time: Archives of Possibility and on a series of essays on the future of memory.